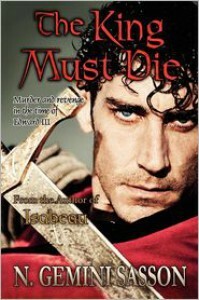 I'm going to refer back to Gemini's terrific guest post (http://thetruebookaddict.blogspot.com/2012/06/book-tour-king-must-die-by-n-gemini.html) in this review. I too was struck by the film, Braveheart. It is my favorite film and probably always will be. And, as Gemini also felt, it was this film that led to my obsession and further investigation into the personages portrayed in the movie. I immediately did a lot of non-fiction reading on William Wallace and Robert the Bruce. In addition, I was very curious about Edward I (Longshanks), Edward II, and Isabella and so, did more reading on them as well. Since then, I have been intrigued to read historical fiction that features these people who held such interest for me. The King Must Die is one of those books. I've said this before and I'll say it again. Good historical fiction, whether completely accurate or not, will (should) invoke such passion in the reader that he/she can't help but go off on a quest for more information on the subject matter and/or the historical figures depicted there. 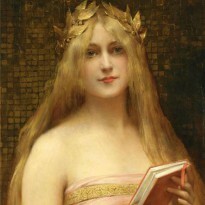 Whether this quest comes in the form of reading more historical fiction portrayals of the subject, as to get different points of view, or taking it a step (or two) further and devouring every non-fiction source a person can get their hands on, for it to occur at all is a bow to the genre. Gemini has made her characters so real and interesting, I certainly can't help but want to read more about them. Especially in the case of Edward III. I found him so interesting as he grew from a 14 year old boy into a king, husband, and father. I also like that she explored a different avenue than the portrayal of Isabelle as an evil witch who wanted her husband dead. Another great aspect of historical fiction novels is to read the differing points of view of the authors who write them.I recommend The King Must Die to all lovers of historical fiction. It is written by an author who is clearly passionate about her subject matter and it shines through in every word on the page. I look forward to reading her future (and past) works.Note: Be sure to read the excellent author's note at the end of the book which sheds some light on the historical facts behind the story.